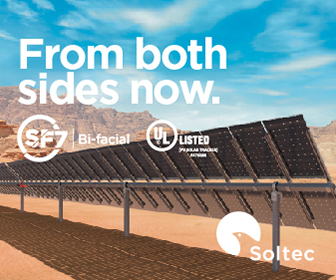 FTC Solar launches the Voyager single-axis tracker, which will be shown by invitation-only to select customers at Solar Power International in Anaheim. The Voyager tracker is designed for project engineers and installers, requires no special tools and only three wrench socket sizes to be fully assembled. It features the fewest foundations per module in the industry and employs a fast and intuitive clamping system that makes module install a breeze. The balanced DC string architecture not only reduces the overall DC collection cost, but also is ideal for DC cable harness systems. And, the single row, 2-portrait module mounting architecture allows engineers to make the most of the available land while maintaining suitable accessibility for cleaning and mowing in higher GCR designs. 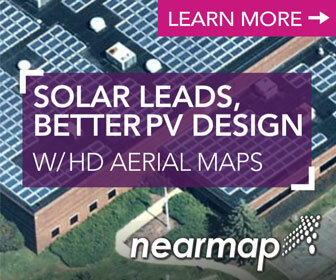 What this all means is that the Voyager tracker provides the lowest installed cost per watt in the industry. Voyager is equally designed with performance and reliability in mind. The single-row, self-powered actuation and control system utilizes a power architecture that puts little demand on the battery, providing three days of back-up power while requiring battery replacement half as often as competitive designs. The row-level control features communication redundancy through a wireless mesh network and bi-directional communication with zone controllers. Voyager's proprietary control system allows for continued performance optimization through custom backtracking. If you are a developer, EPC, or asset owner working on ground-mount projects, FTC Solar's Voyager tracker should be part of your next project. Contact us at trackers@ftcsolar.com for more information or to schedule a private viewing of the Voyager tracker at SPI.